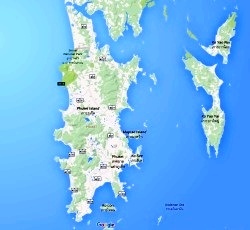 RentPhuket is an island-based company offering apartment rentals in Phuket. 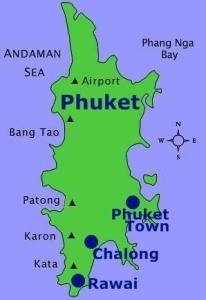 We have apartments in Phuket Town, the bustling heart of Phuket, and further south on the island we have apartments for rent in Rawai and condominiums in Chalong. We have both studio apartments and two-bedroom apartments in Phuket town, standard and premium studio apartments in Rawai and studio apartments and two-bedroom apartments in Chalong. We cater mainly to teachers and expatriate workers looking for an affordable place to live during their stay on the island. All our apartments for rent in Phuket town, Rawai apartments and Chalong condominiums are fully furnished to a high standard. Balconies, ensuite bathrooms and kitchen areas with refrigerator are in all Phuket studio apartments and two-bedroom apartments in Phuket. Click one of the buttons at the top or bottom of this page for more information about our apartments in Rawai Beach, Phuket Town and Chalong, or a Phuket map, or for details of our different Phuket accommodation options. Make the most of your time on the stunning island of Phuket, Thailand with a quality Phuket apartment from RentPhuket, with the confidence that all your requests and needs will be dealt with quickly and efficiently by the English-speaking management. Your Phuket condominium is only a phone call or email away. Should you need a motorcycle during your stay on one of our Phuket apartments, you are welcome to rent one of our bikes. We have three motorcycles to choose from – details here. Availability is limited for our condos for rent in Phuket town, Chalong apartments and apartments in Rawai, so please click the ‘contact us’ tab at the top, email us at info@rentphuket.net, or call 080 532 1587 (+66 80 532 1587 from overseas) to arrange an appointment.